The sale includes 20 per cent off wallpapers, curtains, and upholstery fabrics, 25 per cent off upholstery fabrics, 25 per cent off interior design consultations, and up to 70 per cent off display lighting, sofas, and furniture. La Maison Chic offers one of the largest fabrics and wallpapers libraries in Ireland, with names such as Colefax & Fowler, Ralph Lauren, Armani, Zoffany, Pierre Frey, Casamance, Canovas, Larsen, Farrow & Ball, Little Greene Paints and wallpapers, Nobilis, Elitis Braquenie, Mulberry, Cole & Son, JP Baker, Nina Campbell, Osborne & Little, Arte, Flamant, James Hare, James Brindley, William Morris, Sanderson, William Yeoward, Lorca, Andrew Martin, Rubelli, Abbott & Boyd, Sheila Coombes, Au Maison, Etro, Houles, Christian Lacroix, Metaphores, Fadini Borghi, Harlequin, Duralee, Malabar, Carlucci, Chivasso, Boussac, Brian Yates, Brunschwig & Fils, Alhambra Romo, Zinc, Voyage, and Diane von Furstenberg. 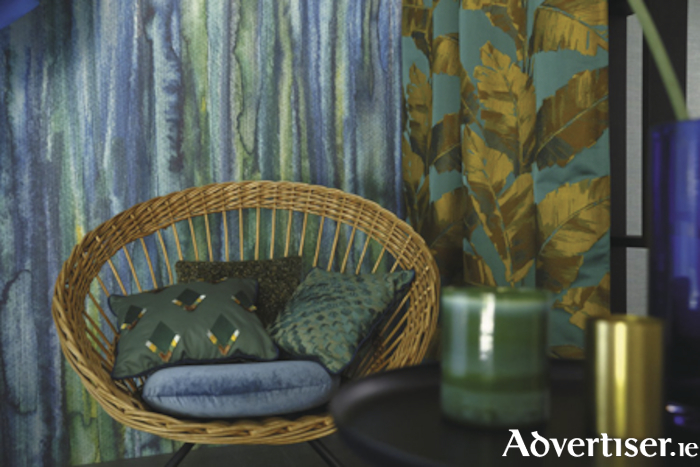 As well as fabrics and wallpapers, it stocks Farrow & Ball and Zoffany paints, as well as the new Designers Guild paint range. La Maison Chic specialises in upholstery and reupholstery, offering a service with its own quality fabrics. It also offers top of the range custom made sofas which can be covered in a choice of more than 5,000 designer fabrics. Visit www.facebook.com/lamaisonchic to see the items on sale, and for daily updates on trends as well as competitions and special offers available only to Facebook followers. This interior haven has been described as one of the best interior design shops in the country by many national interior design magazines, so drop in and see for yourself.